Updated Thursday August 17, 2017 by Old Bridge Basketball. Here are the basics for keeping score. 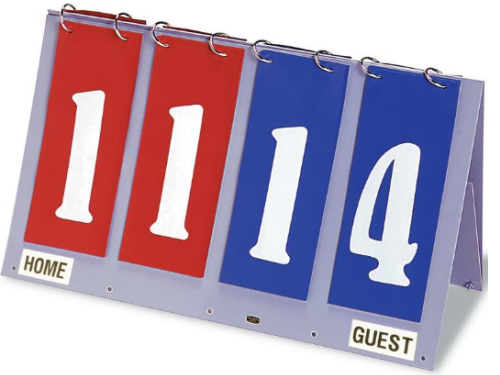 If it's your first time keeping score, check with your child’s coach and see if you can assist and watch someone keep score. 2) Enter all the players’ names and numbers on the score sheet for both teams. 3) Each time a team scores a basket write the number two (2) next to the player that scored the basket under the 1st , 2nd , 3rd or 4th quarter. If it was a free throw, enter a number one (1) for each free throw scored. 4) Then circle the amount of points scored in the 'running score' area of the sheet. In example, if a team scores a basket circle 2 and then if the score a free throw circle 3, and then another basket circle 5 etc. Do this for both teams. 5) If a player commits a 'foul' circle a number under 'fouls' each time one is called. If the same player has another foul then circle 2 etc. The referee will tell you who committed the foul each time she/he calls one. 6) Each time a team calls a time-out mark it on the score sheet. 7) The scorer is also responsible for keeping track of 'jump balls'. One of the easiest ways to do this is on the far right side of the page write the letters of each teams colors in a column. Ex. if one team is blue and the other team is red write B R B R B R B R B R etc. starting from the top of the page and working down. Each time the referee asks 'who get the jump ball' tell her/him for example 'blue' then cross off the letter B. The next time asked say 'red' then cross of the letter R. Cross off a letter each time asked, and the uncrossed letter is the next team to get the jump ball. Ask your manager if you can assist at a game. This will help you learn how to keep score. Helpful TIP - Only let the coaches ask what the score is during the game so you’re not distracted with 20 players and all their parents asking you what’s the score?